You have to make plans for your future that where you see yourself after a certain period. Where would you be after one month, six months, and one year? Setting short and long-term milestones and target would help you achieve success and stay motivated. You will start acting when you know that you are working according to what you can do in a specific period. System shapes the business as you do not get sick and worried about the things. It is better to have a repeatable system where you can get new clients that would keep the profit of the business in a good flow. When you follow everything organized, you will not mess up and able to do the right task at the right time. No matter you make the short-term and long-term plans; a person would still not improve if he would not learn from mistakes. Growing means learning from mistakes and not repeating them; you have to do the same. Improvement occurs when you consider the positive things as building points and negative stuff as necessary to minimize. The modern world relies on technology to a great extent. You can also take advantage and use the technology for making your business website. You can also use the Google Apps and do most of your business from remote places. You can also use Khmer realty ads for growing your business and taking yourself to another point of success. The customers are the one for whom you are providing the services, and they are the one who enjoys the service and makes you famous. It is the reason; you must ask your loyal customers about the pros and cons of your style of business. It would give you a chance to learn and make thing better for prospects. No matter it is your own business or someone else is above you working to make the things better. You must stay accountable for your work that can help you to grow. If you have a boss, then the person can give you a sandwich feedback that can help you to work on the things you are ignoring right now. Many times, we put so much stress on work that we ignore the other elements of our life. It is the moment that brings problems because your personal life and health get disturbed because the professional experience gives you so much stress that you cannot cope up with it. It is the reason; you must create a balance between work and your personal, social and spiritual life so you would keep working with the best results. 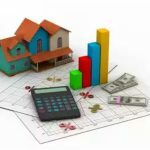 Now when you have come to know some things that are important for any real estate agent, you must not ignore the tips and start practicing it on a daily basis. A real estate agent is responsible for helping the buyer get the property at the price that falls in the comfort range of the buyer. This entry was posted in Real Estate Business and tagged commercial property agents, Estate Agents, property agents, property brokers, Real Estate Agent, real estate broker, real estate company, reliable agents. Bookmark the permalink.